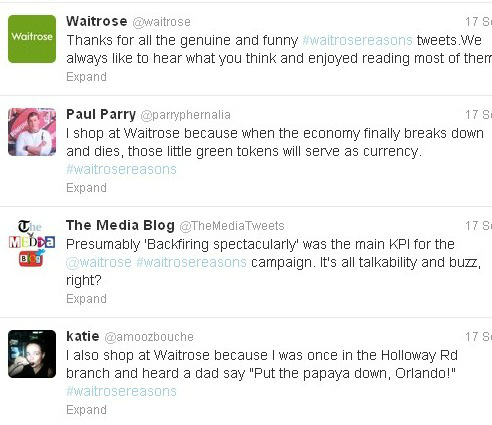 By understanding the profile of its customer, Waitrose have successfully created a defined brand personality that clearly matches the nature of its customer. The outset of this campaign would probably appeal to the their customers anyway, they’d probably muse on its very nature and use it as a topic of conversation when speaking with other Waitrose shoppers. 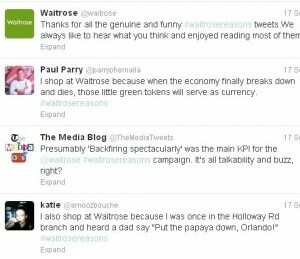 What’s more, those people don’t shop at Waitrose already understand this pretense, meaning the outset of the hash tag campaign is probably nothing new to them! With a wealth of case studies available, take for example the #McDStories campaign by McDonalds, the outset of conducting campaigns of this type are heavily documented. I personally think that they knew what they were doing. They new the personality of their brand and they know what the outcome would be. 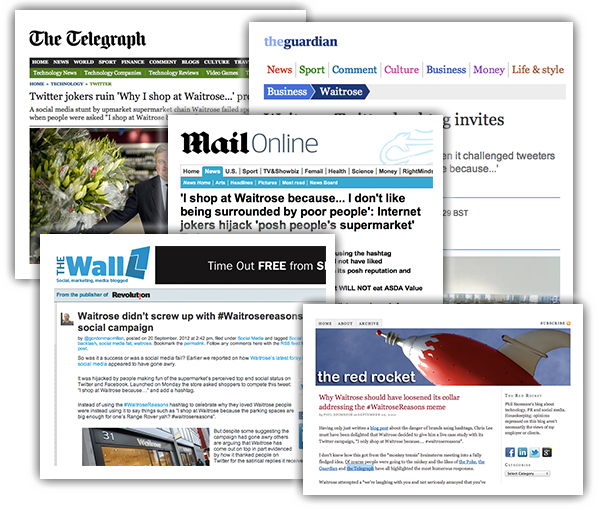 Isn’t the most important thing about social media is getting people talking? This campaign definitely did that…I had my girlfriends mum, a loyal Waitrose customer who doesn’t even use social media tell me about it! I don’t know the stats, but with debate about its function being showered across the press and blogoshere, I’m sure that it’s increased the size of their followings on there Facebook and Twitter pages.